When it comes to your home's heating and cooling system, it should provide convenience and comfort to your indoor environment. Today, many homeowners are concerned about controlling their energy budgets and usage, while still maintaining the comfort they desire in the home. At Boerne Air Conditioning Experts, our simple solution to managing your heating and cooling system is to adjust your programmable thermostat settings depending on your preferences and daily habits. Installing a programmable thermostat in your home will let you run a scheduled heating and cooling program without having to manually change your settings throughout the day. Most programmable thermostats are able to automatically adjust the temperature in your home up to six or more times per day. You can also manually override the automatic settings at anytime without interrupting the daily or weekly programming. Through our years of experiences, our technicians at Boerne Air Conditioning Experts have found that a programmable thermostat offers such ease of use, that it's easy to set your home's temperature lower while you are asleep or during the day when you are at work. By doing so, you can really see an impact in the difference of your energy bills. When you’re first installing your programmable thermostat, you want to ensure that the unit is away from appliances, lighting, doorways, windows, fireplaces, and heating or cooling registers. If your thermostat is too close to any of these items, it can produce a negative effect and de-calibrate your temperature. 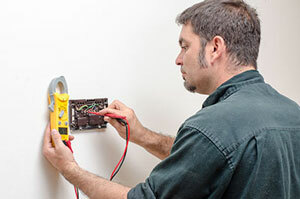 Typically, interior walls are best when deciding on an appropriate location for your thermostat. It’s also a good idea to change the batteries in your thermostat at least once a year. To program your thermostat, you need to take into consideration your daily schedule and personal temperature preferences. In the winter, do you like to sleep in a cool house? If you like your home cooler at night, set your thermostat to a lower setting about an hour before you actually go to bed so the house starts to cool down. Prior to waking up, you might want to set the thermostat so the heat comes on approximately two hours before you actually get up. Then, the house will be nice and warm when you get out of bed. You should also consider adjusting the thermostat anytime you’re on vacation or whenever the house is vacant for four or more hours per day. Typically, adjusting the temperatures 5 to 8 degrees, down in winter and up in summer, can help save energy if you are going to be away from home for several hours. While it may sound a little ridiculous, if you do a lot of cooking in your home you could even consider dropping the thermostat a few degrees during dinner hours to combat the build up of heat from your stove or oven. In the end, a home’s comfort level and overall temperature should be determined by those who live there. Some like it warmer and some like it cooler, but no matter what your preference, using a programmable thermostat will ultimately save you money. 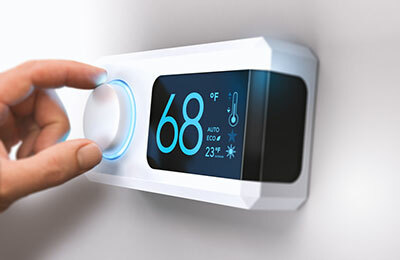 If you have any additional questions about your thermostat or you’d like to install a programmable thermostat in your home, feel free to call us at Boerne Air Conditioning Experts.